Home / Updated apps, Yay! The iphone/ipad apps have been updated! 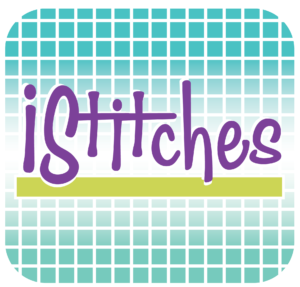 If you already own any of my 4 iStitches apps you may have noticed them throwing a pesky error message when you open them. They say that they may no longer work with future versions of the operating system and that they may slow down your phone. Violá we have updated them and now they behave nicely again. Four apps each with 300+ stitches arranged alphabetically and by stitch type, happiness is! If you already own them, go to the app store on your iphone. In the tool bar at the bottom of the screen click on updates. Scroll through the list of apps that can be updated on your device and update. Yes, you have to do it on each device but that’s not so bad. It’s free. If you don’t have these handy apps, you can download them through tunes. He’s the main link on my website for all four apps. They are exactly the same stitches as my books but packaged in a nice little app so they are with you wherever you go. Thank you! I love mine and look at them all the time. Thank you 🙂 Mine updated automatically.